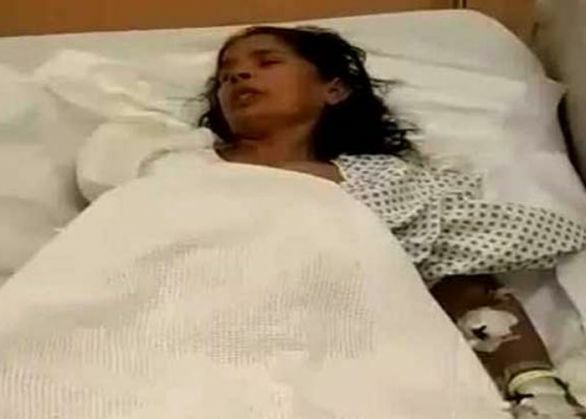 Kasthuri Munirathinam, the Indian maid whose hand was chopped off by her employer in Saudi Arabia, has finally arrived home today. The woman, who hails from Tamil Nadu, returned to Chennai from Saudi Arabia. Earlier, quoting an official of the External Affairs Ministry, the ANI had reported, "We have organised the return of Kasturi Munirathnam from Saudi Arabia. She is reaching Chennai today." Under the Saudi rules, the employer or sponsor has to grant the exit visa. One of the condition laid down by her employer was that the mention of assault be removed. Earlier, External Affairs Minister Sushma Swaraj had said India was "very much disturbed over the brutal manner in which an Indian lady has been treated in Saudi Arabia". Following this, Indian embassy in Riyadh had lodged a protest with Saudi foreign ministry.